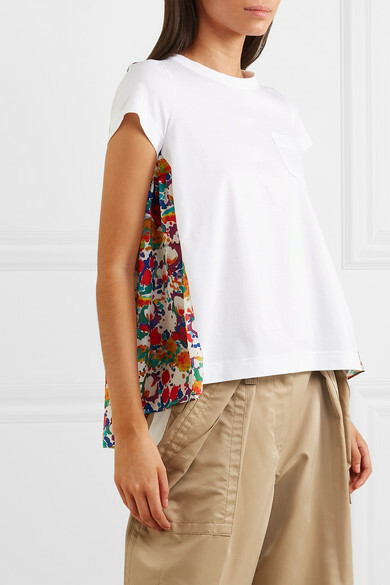 Sacai's T-shirt is perfect for when you're torn between minimal and colorful. 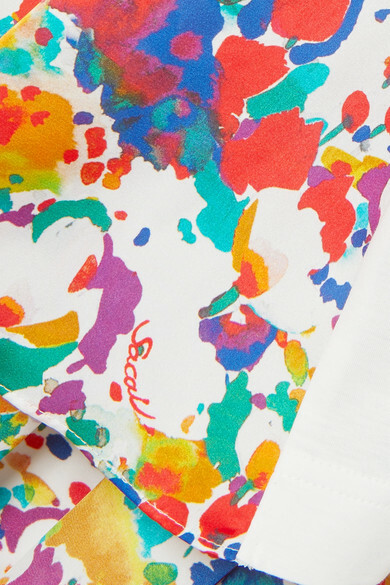 It has a white cotton-jersey front and turns to reveal a rippling floral-print crepe de chine back. 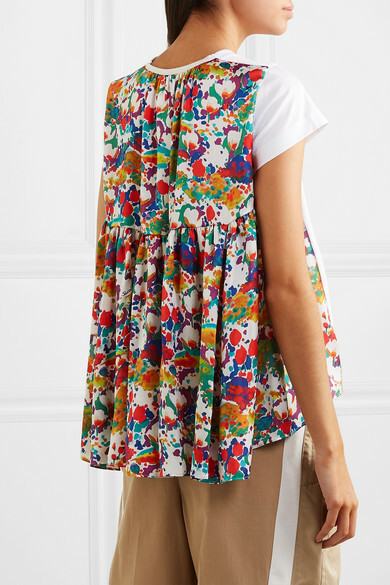 Wear it at the weekend with culottes and sandals. 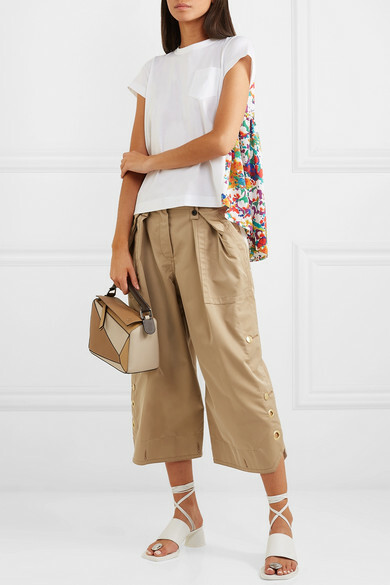 Shown here with: Sacai Pants, Loewe Shoulder bag, Ellery Sandals.